Let there be LED off-road lights! 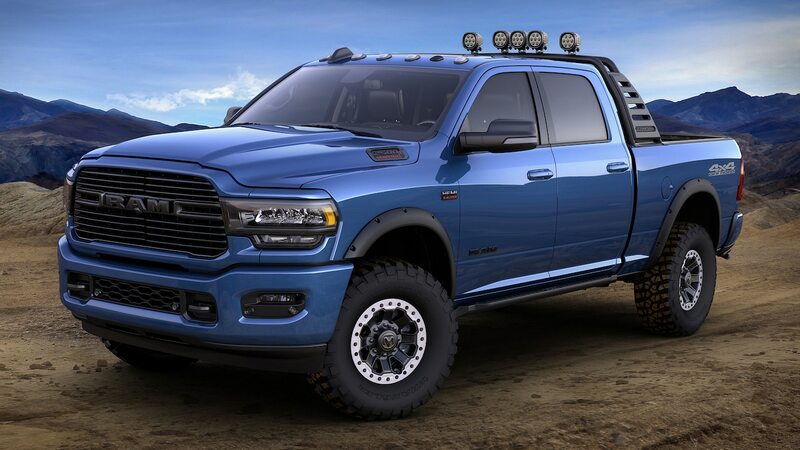 Mopar revealed over 170 new products for the all-new 2019 Ram 2500 Heavy Duty at this year’s Chicago auto show. 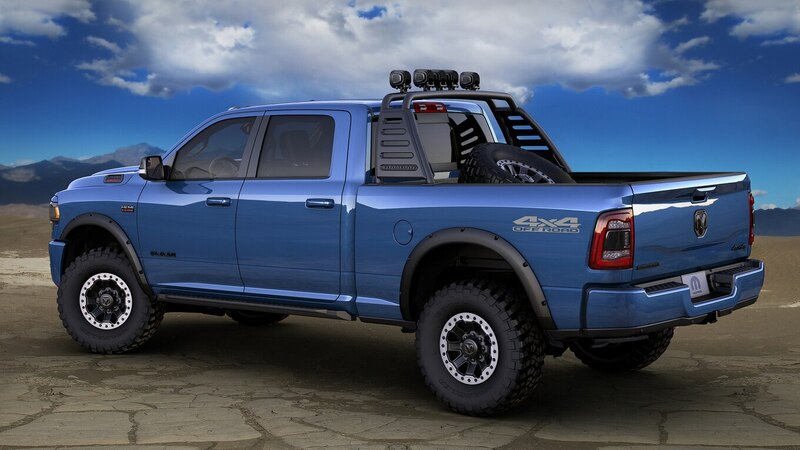 A modified Ram 2500 Heavy Duty Big Horn truck sporting monochromatic Blue Streak paint, black Ram Bar with 5.0-inch LEDs, off-road wheel flares, and spare tire carrier is on display at this year’s show. 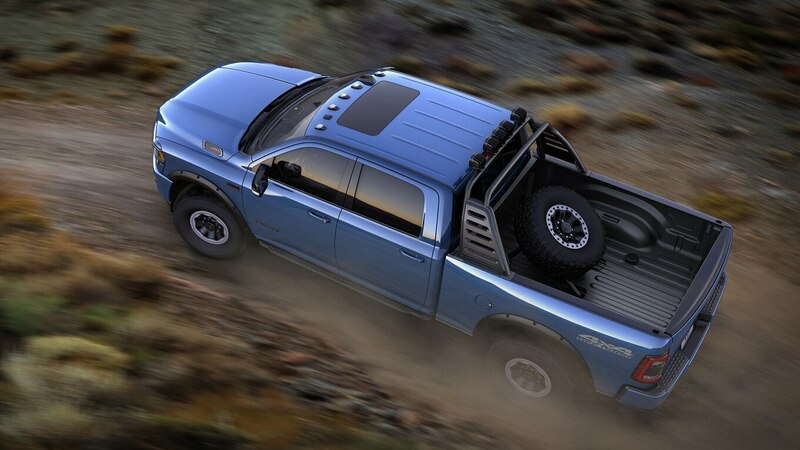 Around back features a retractable rear Mopar bed step for easy access when the tailgate is up or down. The powerful pickup packs a 6.4-liter Hemi V-8 engine that produces 410 hp and 429 lb-ft of torque. It is likely mated to a six-speed manual or automatic transmission—we are hoping it is a manual. The show truck features several conceptual parks that include a powder-coated off-road rock rails, 17-inch custom-milled concept beadlock wheels shod with Goodyears, and a spare tire carrier that holds up to a 37-inch tire. Inside the redesigned cabin showcases its Mopar brushed stainless steel door Ram logo sill guards and branded all-weather floor mats to keep things tidy. Aside from the conceptual bits, Ram says all of the Mopar production parts and accessories are available now.